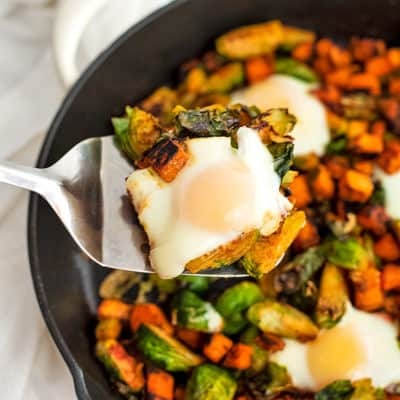 Breakfast just got a little better with this sweet potato breakfast hash! 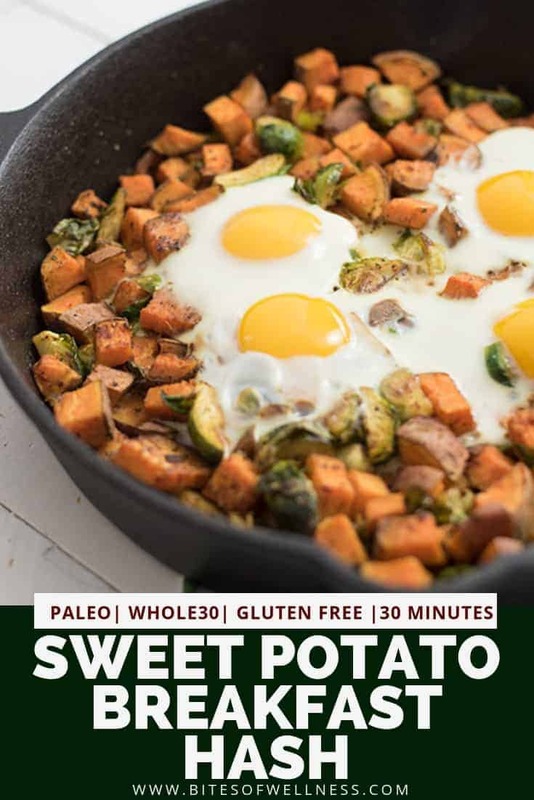 This sweet potato breakfast hash only has about 6 ingredients, it’s Whole30, paleo, grain-free and vegetarian (with a vegan option). But what I love most about it is that it tastes amazing! Breakfast food is hands-down my favorite! Breakfast for dinner is one of my favorite suggestions when we don’t have a set meal plan for the day! And savory breakfast items have recently been my go-to! 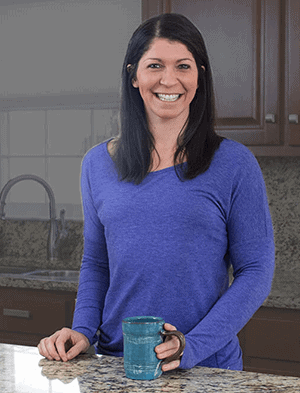 Speaking of savory breakfast items, have you tried the low-carb savory cauliflower waffles yet? If not, you simply must! 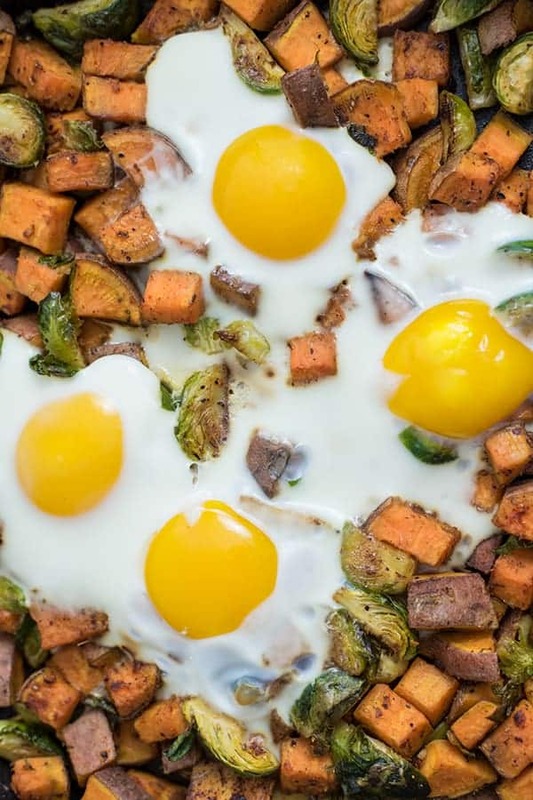 Back to this sweet potato breakfast hash – it’s packed with nutrition. 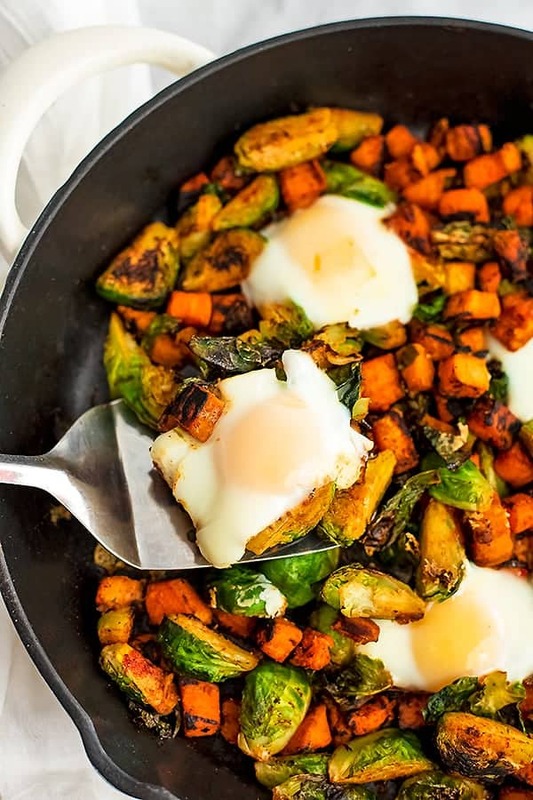 Sweet potatoes, brussel spouts and eggs! and it’s seriously so simple! 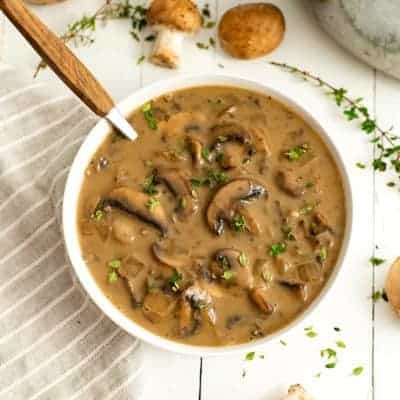 This hash starts on the stove and finishes in the oven, so make sure you have an oven safe pan when you are making this! I actually just started using my cast iron skillet, and I’m a little bit obsessed. I thought it was going to be a pain, you know because they really don’t like to get wet and you can’t wash them with soap. But now it’s seasoned and it creates the best crust on potatoes. I would recommend a cast iron skillet to everyone now that I’ve finally used one! This sweet potato breakfast hash is ready in under 30 minutes. Start by cubing the sweet potatoes and letting them cook in a pre-heated pan with some ghee or coconut oil. While the sweet potatoes are cooking, quarter the brussel sprouts, and add them to the potatoes. Let this mixture cook, add the spices and then make a place for 4 eggs in the hash. Crack the eggs then transfer the hash to the oven to cook the eggs and finish cooking the sweet potatoes. When it comes out of the oven it’s sizzling hot and ready to enjoy! If you plan on eating this over a few days, you may want to make the eggs separate, since I found that they don’t sit well in the hash (the residual heat from the sweet potatoes and brussel sprouts can make the egg a bit rubbery as it cools off). Just a heads up though! 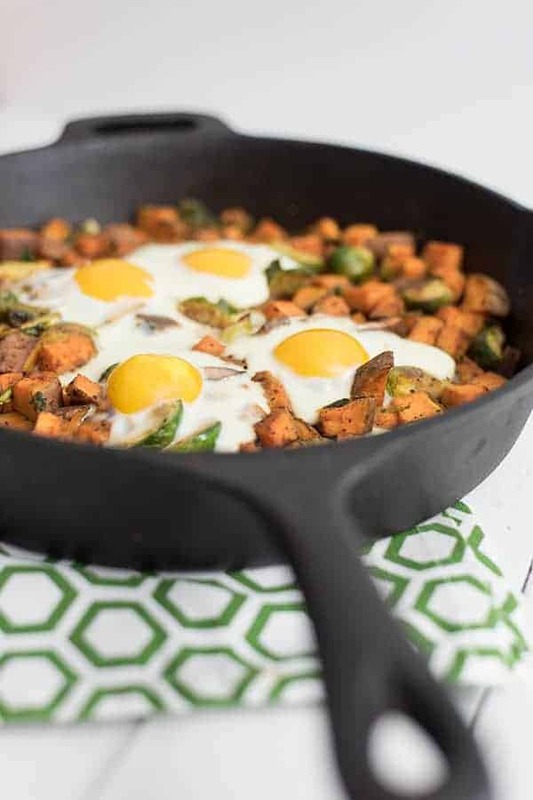 This sweet potato breakfast hash is the perfect savory breakfast! 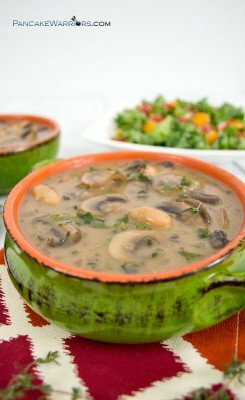 Whole30, paleo, grain-free, vegetarian (with a vegan option). Preheat a seasoned cast iron skillet over medium heat while you peel and cube the sweet potatoes. Quarter the brussel sprouts by cutting them in half down the center in both directions. Add the brussels to the sweet potatoes and stir well. Cook 5 minutes. Add the salt, garlic powder and smoked paprika. Stir well. Make 4 "holes" for the eggs by slightly moving the veggies to the side to make room for the eggs. Bake in the oven for 8-9 minutes. Remove from the oven (use your oven mits) and serve immediately! 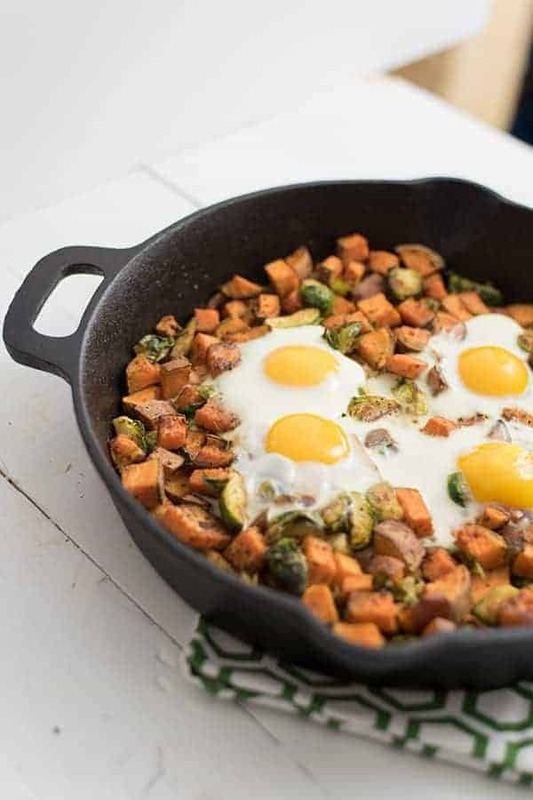 We love Sweet Potatoes and your Sweet Potato Breakfast Hash will be fantastic! Hope you have a fantastic week and thanks so much for sharing with Full Plate Thursday. Love sweet potato hash. Sometimes I make it for supper. Will have to try the Brussels sprouts. We love breakfast for dinner too, Genie!